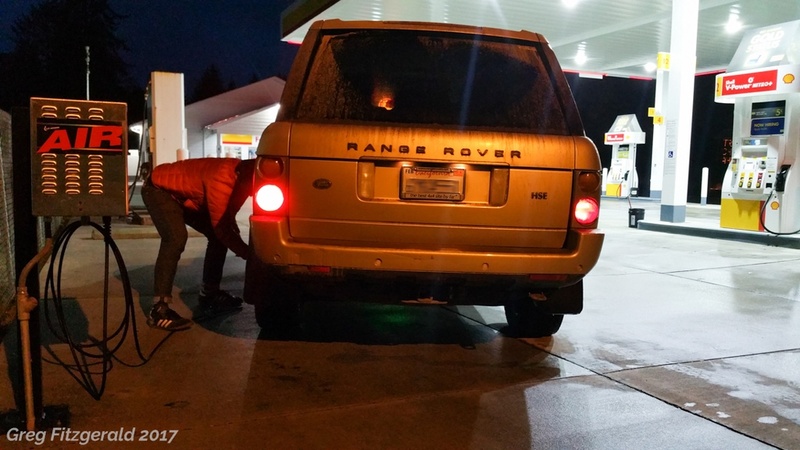 As the last leg of the multi-continental Jumbo Journey of 2017, I headed up to Portland for a few days to visit my friend Nathan from the mendo_recce Land Rover email list. 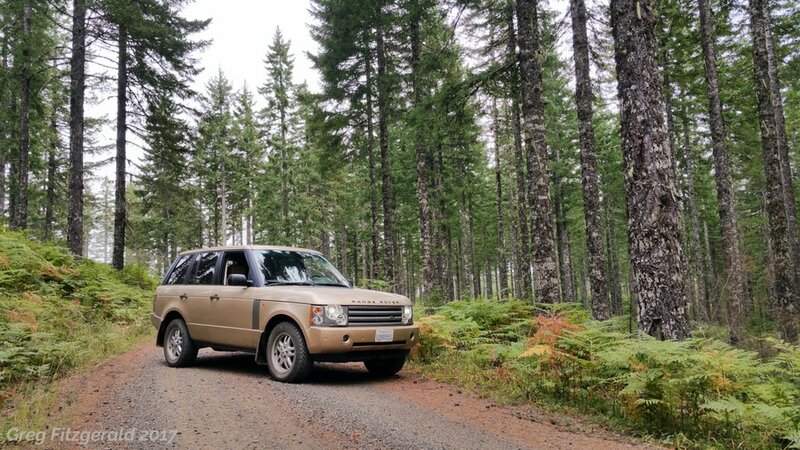 We figured we’d take a few days to go out exploring in the nearby public lands around Tillamook State Forest and Mount Hood National Forest. 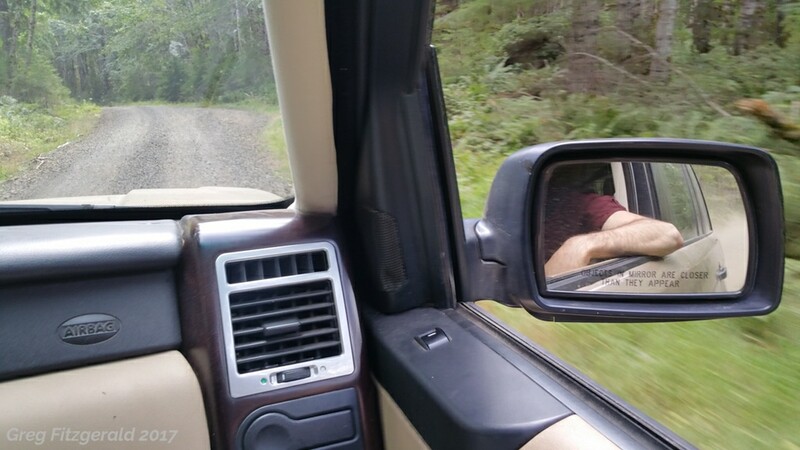 There were some trails he wanted to map out in both of these places for future exploring, so we fired up the GPS for two days of adventure and pointed “Nugget,” his Maya Gold 2004 Range Rover, into the woods. Saturday morning we rolled out of the house in Portland without any major intentions of where to go or how long to go for. 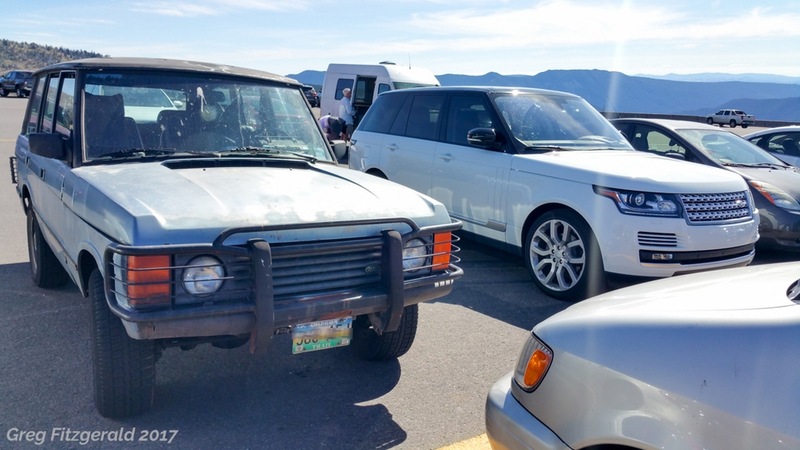 We hit up Trader Joe’s and REI and threw some overnight gear in the back of the Rangie just in case. 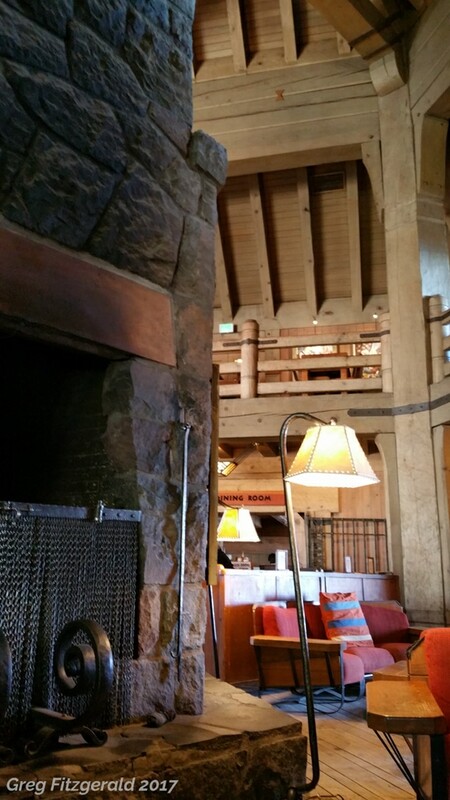 I had the DeLorme and Benchmark atlases on my lap, we had a general concept of where to go, and we hit US-26 out westward through Beaverton, hooked west onto OR-6, and a few miles deep into the Tillamook State Forest boundaries, turned north. 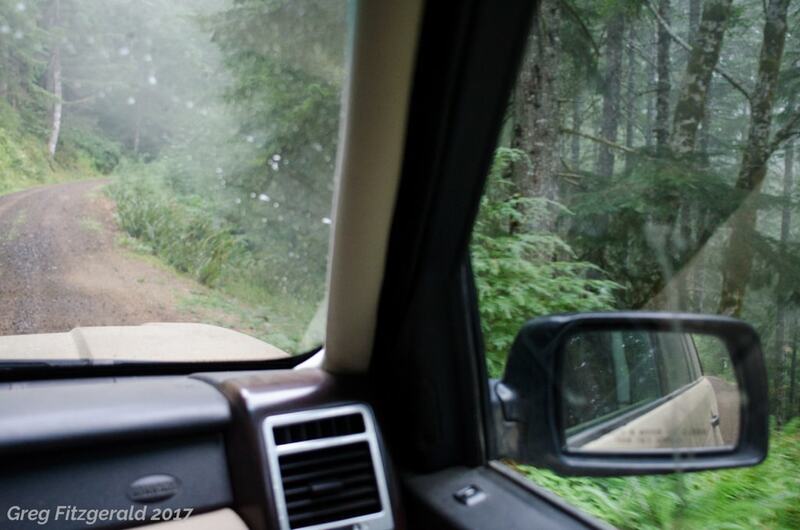 The first goal of the day was to map out some of the logging roads in this area of the forest. Nathan had scoped out the forests to the west a few months ago, and we wanted to see how we could connect that network to one further east. With my Garmin GPS in hand marking waypoints, we weaved through the roads. Some were marked, both on the Delorme/Benchmark and the Garmin, but others were clearly logging roads of more recent creation. 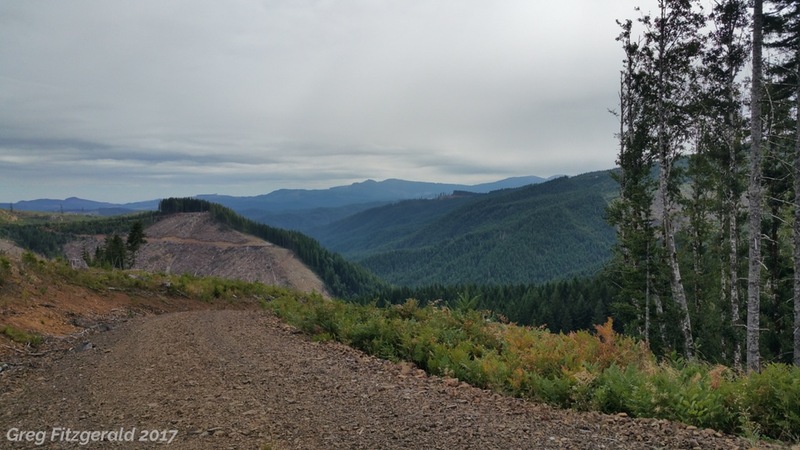 Unlike in California to the south, Oregon has much more strip logging, and we wound through patches of open land as well as older forest. 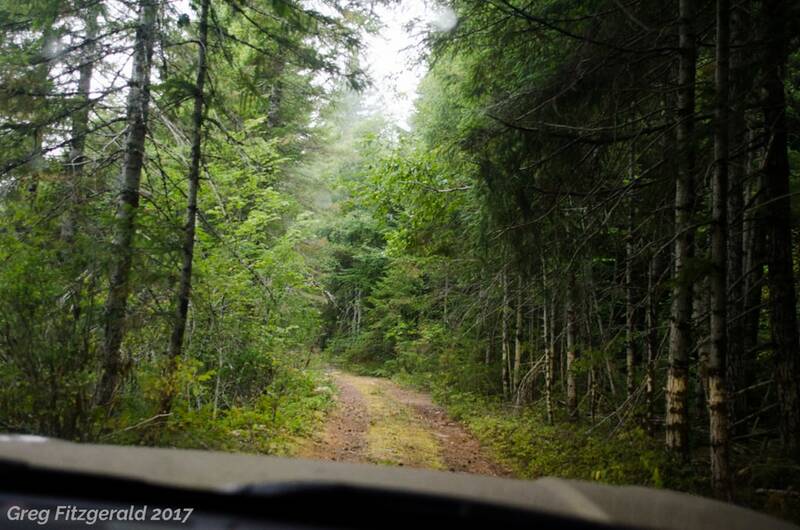 Many of these logging roads were dead ends, and some of the roads marked on the maps were locked off at gates. 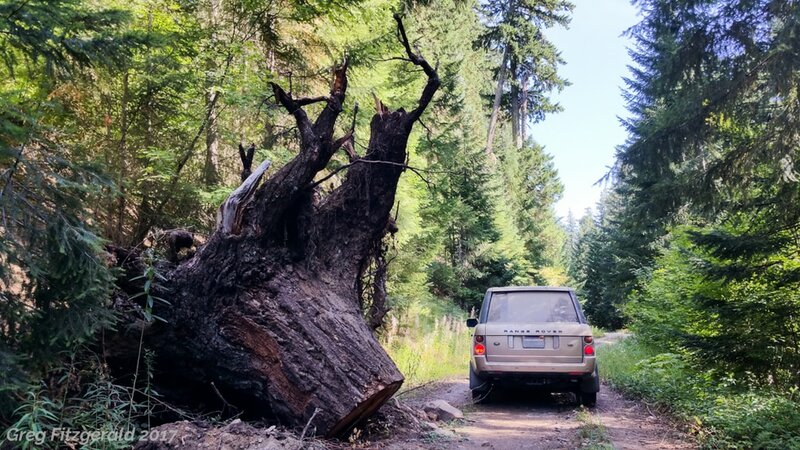 The property of the state forest is not contiguous, and there’s private logging landholds in between that were locked off. We spent much of the morning and early afternoon poking into these corners, finding a dead end, marking them, and then heading backwards to retry the other legs of the intersection. 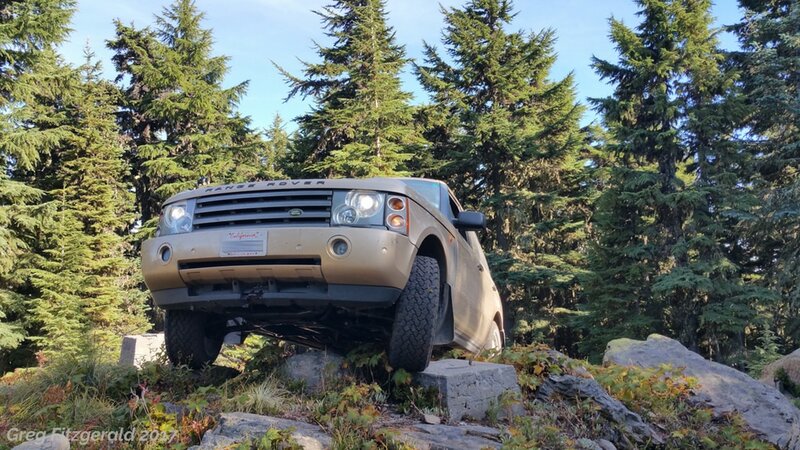 After a bit of this winding, we stopped at one of the more open ridges for lunch, in the Range Rover style, upon the open tailgate. This part of the Forest was more heavily logged than the rest, and we found some captivating vistas opened up by the operations. The further we headed west, things started to close in a bit more and the forest turned into more old growth. 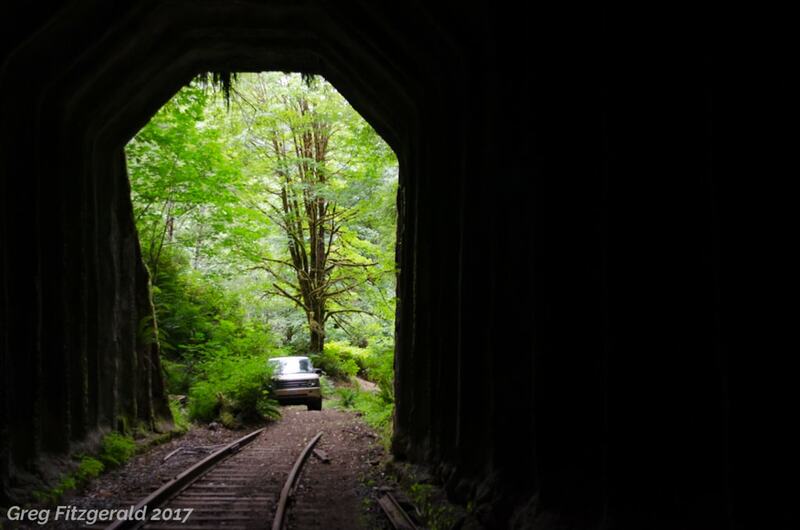 We wrapped our adventures in the Forest with a flat tire and then continued on the spare with a run down a heavily-switchbacked trail to a campsite in a valley, with a fantastic little swimming hole and a tunnel that’s part of an upcoming rail-trail. Running on the spare, which was stored with only 20 p.s.i. of air, we went to US-26 west in search of air. This quest took us all the way to the coast, where we hooked south and continued to search along a beautiful twilight on the Pacific at Cannon Beach. After dark, we hit up a Shell station for air and petrol, and poked a bit around the western expanses of the Forest a bit to try and find a campsite, but with it so dark, and Portland not terribly far, we bailed and drove down the highway back to the city, arriving back just before midnight and heading right to bed for an early start back on the trail. 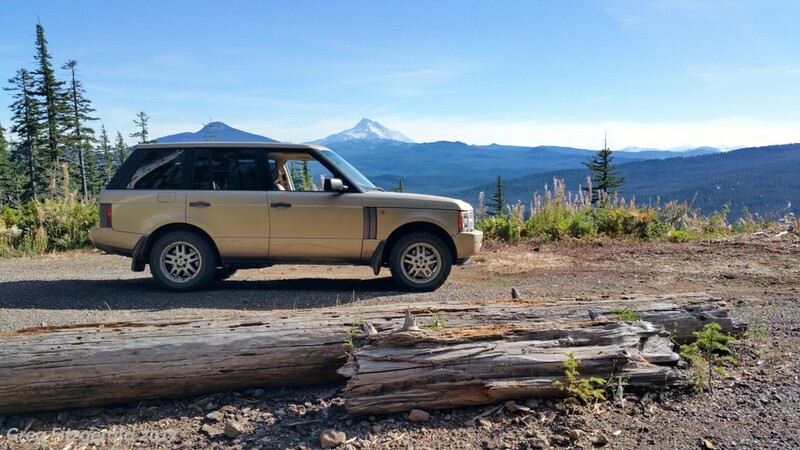 Sunday found us heading eastward, towards Mount Hood National Forest for some new exploring. 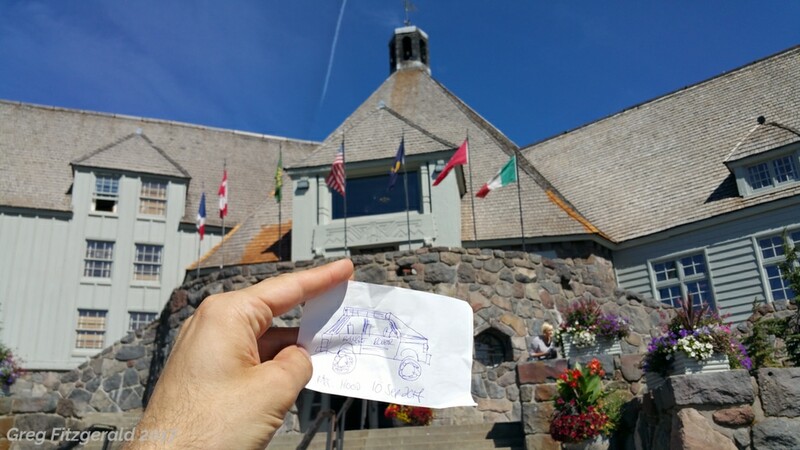 We started out at the Timberline Lodge, the fantastic WPA-built hotel that served as the exterior filming location for The Shining. 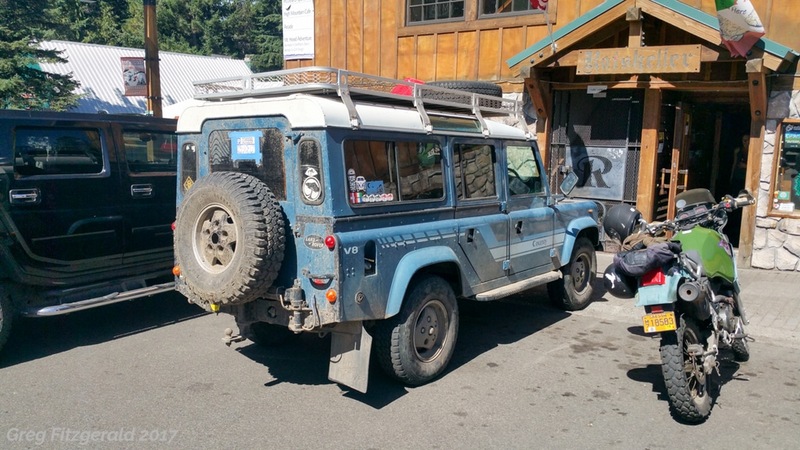 Heading back to Government Camp, we came across this imported Defender 110 with a variety of Range Rover Classic rims. The trails we poked around offered commanding views of Mount Jefferson and the region. 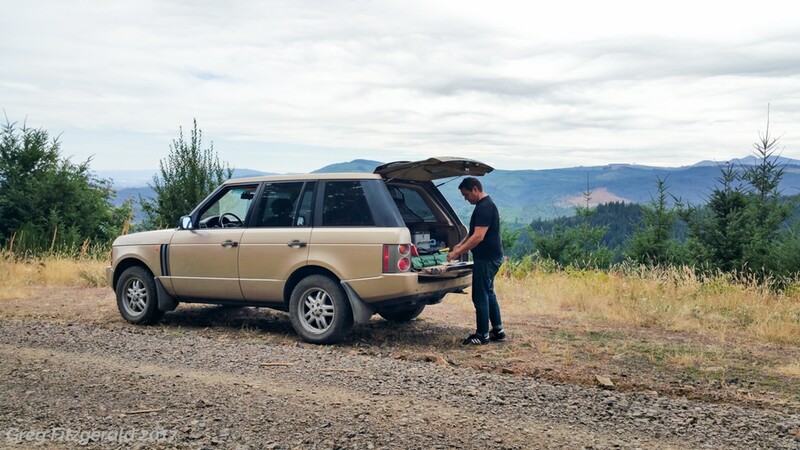 A spot of geocaching in the backcountry. 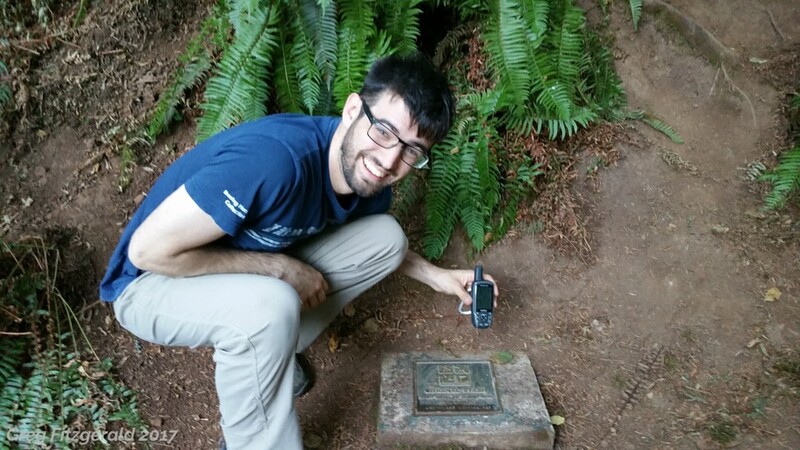 Capping off the day with a drive down the Clackamas River and the site of the first-ever geocache in Viola, Oregon. 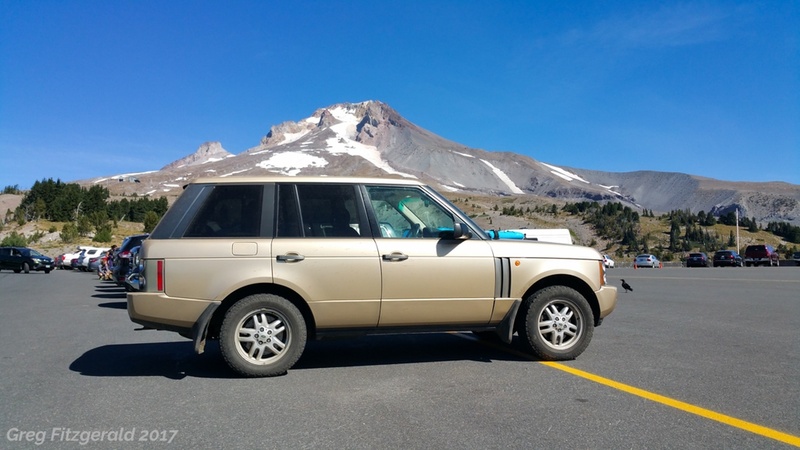 For my first explorations in the Pacific Northwest, we had a fantastic time, and the Mk. 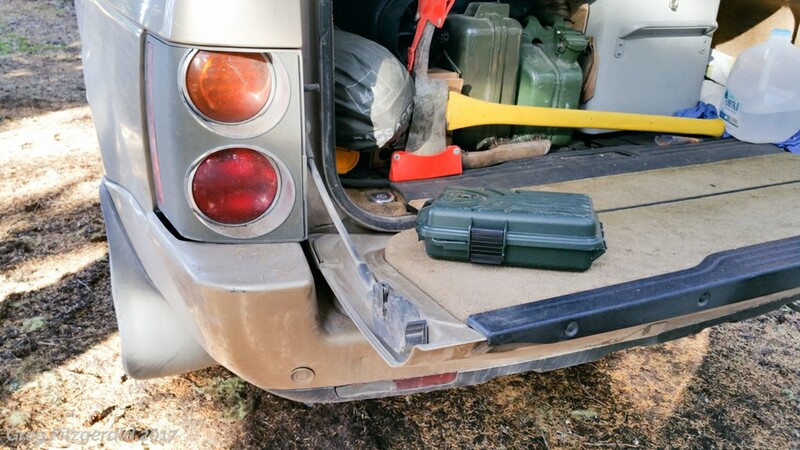 III Range Rover proved it does still have the right stuff to be an overland Land Rover. 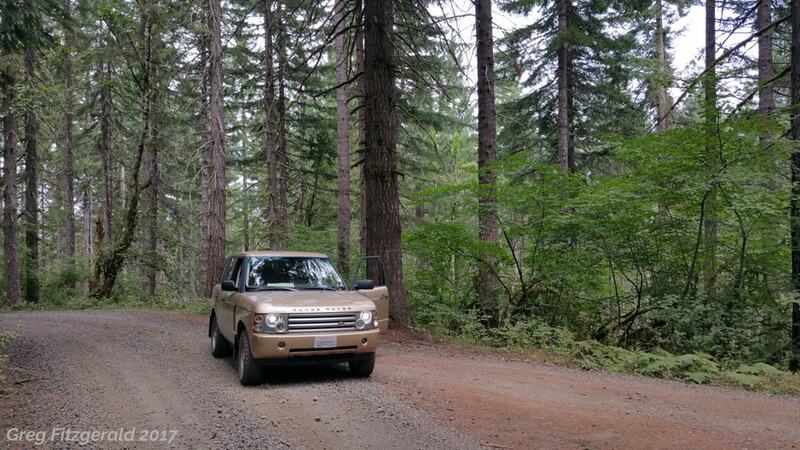 Like all Range Rovers, it was immensely comfortable and soaked up the trail underfoot.